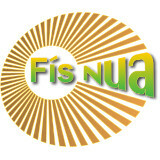 Bunaíodh an páirtí polaitíochta Fís Nua sa bhliain 2010. Is páirtí muid a sheasann don eacnamaíocht éiceolaíoch agus don ‘Staid Eacnamaíoch Seasmhach’. Is fís comhionannais, cuimsiú sóisialta agus cumasú d’achan duine atá againn. Sheas mé sa toghchán do pharlaimint na hEorpa sa bhliain 2014 chun aitheantas a thabhairt don pháirtí. Gan aon fheachtas ná maoiniú d’éirigh liom 1289 vóta a fháil. "Is trua nach bhfuil na ceisteanna seo dátheangach chun aitheantas a thabhairt don Ghaeilg, chéad teanga na tíre. Géarghá na fiacha leagáide a dhiúltú fosta. Ba cheart cáin Tobin nó cáin Robin Hood a thabhairt isteach. Cruthaigh córais bhaincéireachta áitiúla do dhaoine atá slán, eiticiúil agus a bhfuil fáil orthu tré ról na n-oifigí poist agus comhair chreidmheasa a leathnú." "Ba cheart go mbeadh uasmhéid ioncam chomh maith le íosmhéid." "Modhanna malartach soláthar uisce de dhith do thithe msh bailiú báistí. Níl ciall ar bith leis na méadair uisce. Níl cosaint inslithe ar bith acu in éadan oighear." "De réir an Chreat-treoir Uisce ón Eoraip, deir clásal díolúine 9.4 nach dtig táillí a ghearradh ar uisce tí faoin phrionsabal 'íocadh an truaillitheoir'." "Cosc iomlán ar chonarthaí náid uaireanta"
"Char cheart cáin bheith ar an teach cónaithe a bhíonn ag teaghlach." "Tá aineolas agus easpa tuigbheála leanúnach ann fá mhuintir an lucht siúil. Cad chuige a bhfuilthear a gcuir isteach i dtithe buan? An seo an rud atá uathu? An bhfuil guth ar bith ag na daoine seo??" "Ba cheart cúram leanaí bheith saor in aisce." "Níl an córas ag feidhmiú mar atá sé." "Molann muid bogadh ar shiúl ó domhandú agus díriú níos mó ar chomhchruinniú tionscal chun fuinneamh a chaomhnú. Tá muid i bhfách tarraingt siar ón euro agus aonad airgeadra d'ár gcuid féin a bheith againn." 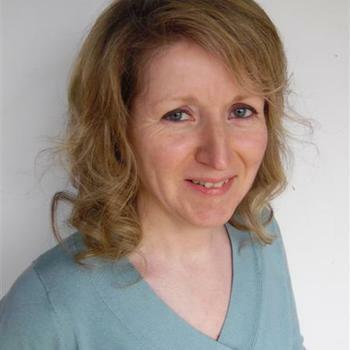 "Molann Fís Nua tacaíocht do gheilleagar ísealcharbóin agus fuinneamh inathnuaite macasamhail cumhacht gréine, cumhacht mionchórais gaoithe ar an gcladach, cumhacht na gaoithe amach ón gcósta, táirgeadh bithmhaise áitiúil agus táirgeadh teas is cumhacht in éineacht (díleá anaeróbach). Molann muid fosta, saoirse cainte agus institiúidí daonlathacha éifeachtacha le cinnteoireacht díláraithe iontu - comhairlí pobail agus baile san áireamh. Cuireann muid i gcoinne comhairlí baile a cheallú." "Bheadh Fís Nua ag cuardú comhoibriú uile-pháirtí ar astaíochtaí carbóin na hÉireann a ghearradh 5% achan bhliain." "Tá alt coinsiasa ag Fís Nua agus thig leis an t-iarrthóir a chinntí f(h)éin a dhéanamh de réir a c(h)oinsias."